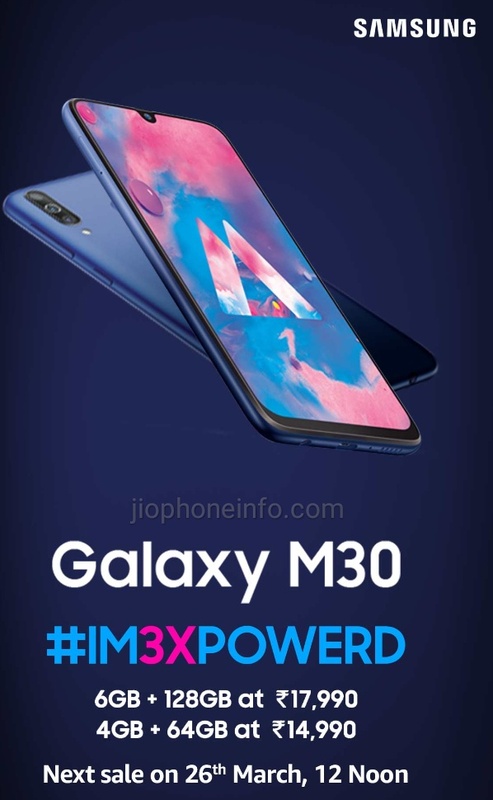 Samsung Galaxy M30 Amazon Flash Sale 26th March 2019 : Samsung has launched its M Series smartphones in India on 28th January 2019. At the time of releasing these handsets, Samsung only launched 2 smartphones under this new series which is Galaxy M10 & Galaxy M20. When these 2 phones were launched, it was announced at the time that the galaxy m30 would be available for sale in March 2019. The sale of galaxy m10 and galaxy m20 has begun on March 12, 2019 but both variants were gone out of stock in the first flash sale, so the next sale will start from 12:00 PM on March 26, 2019. With this, the Galaxy M30 handset will also be available for sale. 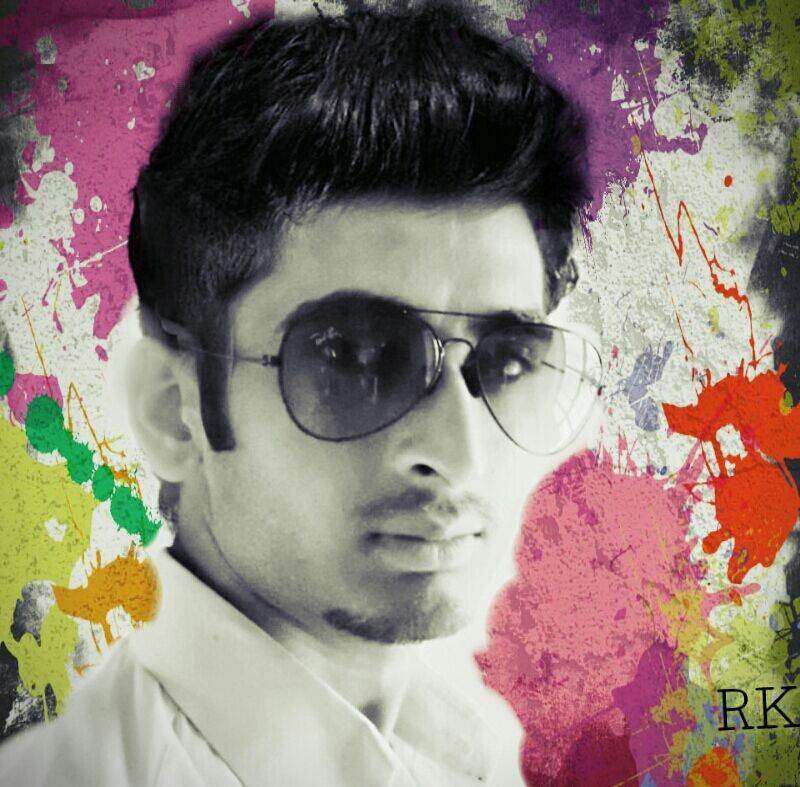 Visit amazon to buy online. The Galaxy M30 will be exclusively available for online shopping on amazon on 26th March 2019. Next Flash sale will be ongoing on 26th March 12:00 PM onward till stocks. So if you want to Samsung Galaxy M30 instantly in exclusive sale you have to use some tricks to get it. Create an account on amazon and register your email for Galaxy M30 Flash Sale so that when sale will start, you get notification. You can also buy Galaxy M30 on Samsung's own online store. The Galaxy M30 comes with two different variant of RAM & Storage so that prices are different. The Galaxy M30 6GB RAM & 128GB storage modal priced Rs.17,990 and another varinat which comes in 4GB RAM & 64GB storage valued Rs.14,990. Both these Galaxy M30 smartphone modal comes in two color options including Ocean Blue and Charcoal Black. 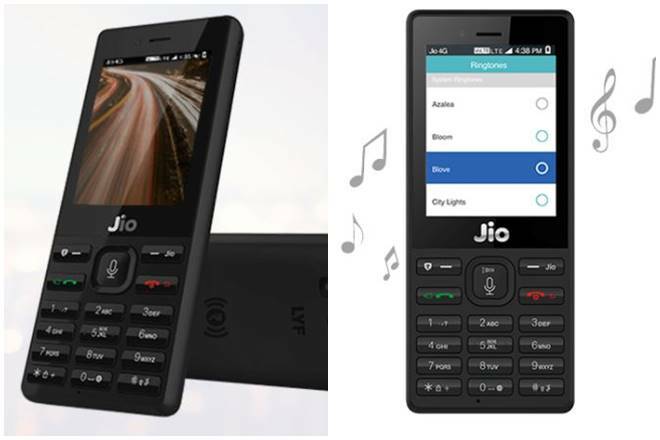 Below, I am going to sharing with some quick tips to purchase this handset online on amazon India by using App and website as well. Here you will see Notify Me option. Click on it to get notification when sale will start officially in given time. 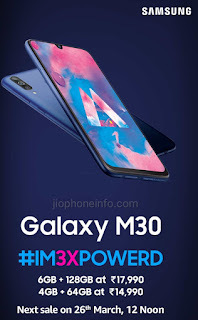 If you're buying Galaxy M30 During the Flash sale the you visit to Samsung Galaxy M30 . Fill Your delivery details carefully such as Name, Address, Mo. No. etc. Check again to make sure details are correct. Than make payment through Debit Card, Credit Card or Paytm. You can also select Cash on Delivery option so that pay when product reach your door. Click on Add product to card. Fill your delivery details carefully. Make Payment by using Credit card, debit card or Paytm. The new M Series smartphones from samsung sounds great in the market right now. If we talk about Galaxy M30, Handset comes withh 6.40 Inch AMOLED display with 1080 x 2340 pixels, 19.5:9 ratio. Coming to the processor, it is running on Exynos 7904 Octa core processor comes withh Android 8.1 OS. Take a look below to know more Features and specs of Galaxy M30. In my opinion Samsung Galaxy M30 is quite better android smartphone which comes with latest technical features and specs. But its downside is operating system which is 8.1 Oreo but overall Galaxy M30 is good handset.